Dynamic vs. Direct – what’s the difference and which one is better? Lately, people have been asking us to explain more about our dynamic editing option and what exactly the difference is between Dynamic and Direct Visual QR Codes. So we’ve decided to clarify what each term actually means and what the implications are for each one’s use in your marketing campaign and for the services that you can receive from Visualead. 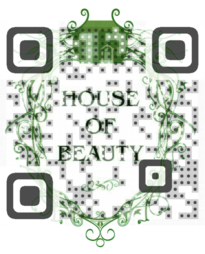 QR Codes are created in order to constitute a hyperlink that when scanned, opens a function in the mobile device [i.e. a web browser program] and then a specific destination within that function [i.e. a specific URL]. The terms direct and dynamic refer to the precise place where the encoding process of the QR Code’s function and destination takes place, which consequently influences how the QR Code might be used in the future. The technology that is used in Direct QR Codes creates a QR Code that is exactly like the barcode that it appears to be – the information containing the function and the destination of the QR Code is encoded directly and physically into the code – a.k.a, within the specific arrangement of black and white dots that the QR Code consists of. It’s important to note that because of the direct encoding, the string length of the URL has a limited amount of characters that it can contain. The result of the direct encoding is that that the code will function in essence like a button with one specific destination – once scanned, the code will always lead you to that specific destination and this process is irreversible, because changing the destination would require rearranging the QR Code’s entire corporeal structure. A new QR Code must be created for each and every function and destination and that is the most important ramification to consider when you decide to create and use a Direct QR Code. Dynamic editing for QR Codes is the result of a new and ground-breaking technology that is called “URL shortening” that has only recently been made available on the market. When creating a Dynamic QR Code with the use of Visualead’s generator, the information that contains the code’s destination and function isn’t encoded into the physical code itself like in Direct QR Codes, but saved within Visualead’s servers and only the code’s access to those servers is encoded into it directly. This small change makes a big difference – it allows the QR Code’s destination to be changed and adjusted continuously with the use of Visualead’s website and has no character limit on the URL string length, while the Visual QR Code itself can remain exactly as it is, untouched. This abolishes the need to reprint the code each time its destination is updated and allows information about the QR Code’s number of scans to be collected in the server, enabling Visualead to analyze the data and present its users with pertinent information about the success of their Visual QR Code campaigns. The implications for your marketing strategy is the granting of a unique flexibility that is unprecedented in advertising campaigns; the continuously adjustable destination allows the campaign to remain relevant and to adapt itself to market trends while the hard work of designing your advertisement doesn’t have to be repeated. One week your Visual QR Code can offer your customers a lucrative coupon and the next, enroll them within a loyalty program adapted to their purchasing history. This is the main significance of the Dynamic QR Code service that Visualead offers and it is tailor-made for the innovative and fast-paced mobile campaigns that Visual QR Codes are usually part of. The Visual QR Codes that are created with the use of Visualead’s technology are automatically created as Dynamic QR Codes as part of Visulead’s belief in giving their customers the best possible service they can. 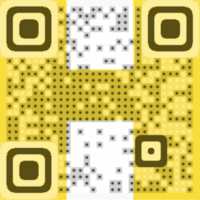 If you desire to create a Direct Visual QR Code, Visualead has made that option available as well. It is important to remember that Direct Visual QR Code’s destination cannot be adjusted and any change will require the code to be recreated anew and consequently, reprinted. In addition, the analytics service that Visualead offers its customers does not apply for Direct QR Codes as the service relies on the information assembled within Visualead’s servers and when the information is encoded directly into the code, that information cannot be collected or analyzed. When creating a Free or Silver Visual QR Code, please note that the maximum string length of the URL that is to be encoded directly into the QR Code is 72 characters. When creating a Gold QR Code, the maximum string length is 17 characters. 1) The first step is to purchase Direct download Credits (to purchase credits, go to your dashboard and click the "Get More" link at the top). 2) Once you have purchased credits, return to Visualead’s main page and create your Visual QR Code in exactly the same way as before. 3) After your code has been created, enter your dashboard and press the Download button in the lower right corner of your Visual QR Code. This will open up a download window and all you have to do is enter the URL that you wish to encode directly into your QR Code within the “embed direct URL” window and press download. It’s crucial to note that this step is irreversible – this means that the information will now be encoded directly into your Visual QR Code and also that 1 Direct download credit will be automatically deducted from your account. Those credits are non-refundable as the code cannot be returned to the dynamic state it was in before. Make sure that the URL you have entered is correct and leads exactly to the destination that you wanted before you press download because any change to the destination, however slight, will require you to create another Visual QR Code, as previously explained. Create Your Visual QR Now!